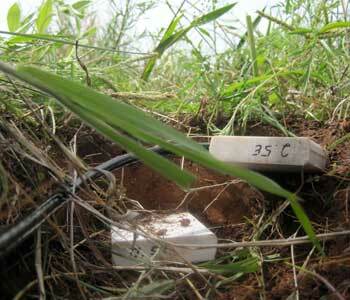 Scientists stumble on a weird way to measure the moisture in soil. “Are these right?” Kristine Larson said. She was poring over raw Global Positioning System (GPS) data when she happened upon some curious signals in Los Angeles, California. The data spiked up along with a massive rainstorm in December 2004 that broke rainfall records and dumped more than five inches of rain in one day. Later, she searched for a clearer GPS signal somewhere else in the world, and found the same effect in Tashkent, Uzbekistan. “Did I just invent a rain gauge?” she wondered. Her colleague, hydrologist Eric Small thought otherwise. “If you look at a rain gauge record, it’s either on or off,” he said. “Whatever signal Kristine was measuring was not over when the rain was over.” Small suspected that the GPS signals were interacting with something else. “It looked more like soil moisture to me,” he said. GPS had somehow recorded how drenched the soil was after the storm. It excited Small and Larson to think that ground-based GPS receivers - more commonly used for navigation - could possibly detect how much water is in the soil, a measure valuable for weather and flood forecasting that can be difficult to measure by any technique. Larson, a geodesist at the University of Colorado Boulder, studies high-precision GPS techniques, which provide a finer level of detail than normal GPS data. Like other geodesists, she was keen on exploring what GPS data, because of their precision and sensitivity, could reveal about the Earth. She had been filtering out reflected GPS signals, which most GPS receivers treat as error sources. But receivers designed for scientific research do not filter them out. Larson realized that the curious GPS signals picked up by ground GPS receivers in Los Angeles might actually be useful. The Los Angeles data suggested that any of the hundreds of highly sensitive ground GPS receivers set up all over the world could be used to measure soil moisture. Penina Axelrad, Larson’s colleague at the University of Colorado Boulder, said scientists have tapped reflected GPS signals before to measure other things, including soil moisture content. “But these studies were more complicated and not as cool as Larson’s,” Axelrad said. “It’s great because it could be done using a lot of existing infrastructure.” Larson’s next step was to prove that it could actually work. The Tashkent data were perfect for her purpose. Larson found it by searching through raw GPS data sets provided online by NASA's Crustal Dynamics Data Information System (CDDIS), which manages an archive of GPS data for research studies. The Tashkent GPS receiver, part of the International Global Navigation Satellite System (GNSS) Service (IGS), collected high-quality data and was located near rainfall sensors. It had a high signal-to-noise ratio, which allowed her to isolate the reflected signals. 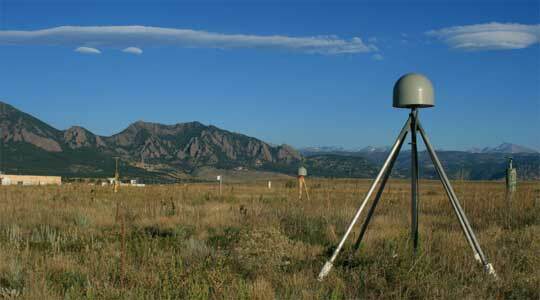 Larson collaborated with Small, a hydrologist at the University of Colorado Boulder, and with John Braun, a geodesist at the University Corporation for Atmospheric Research (UCAR), to compare the reflected signals with estimates of soil moisture in the area. “We really saw it in Tashkent,” Larson said. “When it rained the signal strength was high, and as the soil dried, the peak got smaller and smaller.” The results provided a strong basis for the team to conduct their own experiment, under more controlled conditions. “Tashkent was a demonstration that soil moisture measurements can be retrieved by a ground GPS receiver,” Braun said. “We showed that there was a correlation between the reflected GPS signals and data from a rain gauge that was tens of kilometers away.” Rainfall can vary over an area this size, so the team needed to create an experiment where they could obtain reflected GPS signals and soil moisture measurements from the exact same site. They chose a test area at a shortgrass steppe in Marshall, Colorado. Braun set up a GPS receiver as well as instruments to measure precipitation. To validate the GPS data, Small buried several sets of soil moisture probes at different depths in the soil throughout the field site. Larson said, “In the first six months of data we collected, the direct soil moisture measurements agreed really well with the GPS signals that we saw. We published the results in a paper, and a lot of people, mostly in Eric’s community, got excited.” Hydrologists like Small need to know how much moisture is retained in soils so they can estimate the potential for flooding, how aquifers are recharged, or how much water flows out into streams. Scientists also need soil moisture information for climate research. “The wetness of the soil near the surface of the Earth affects moisture in the atmosphere, which then impacts weather and climate,” Small said. 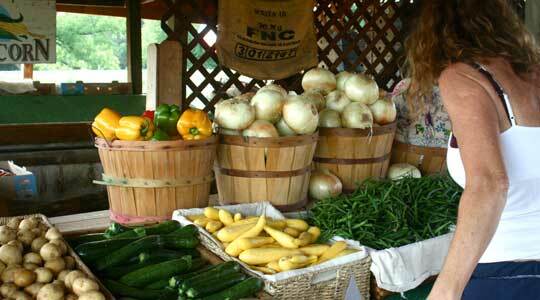 “But soil moisture is extremely difficult to measure,” he added. The only accepted method of measuring water in the soil involves taking soil samples and weighing them twice—upon extraction and after they have been dried. Scientists know that it is not a practical method for measuring how wet the soil is throughout the year. It is also quite destructive. “You would have to have people running all over the planet continuously extracting soil, taking the samples back to the lab and drying them,” Small said. Instead, scientists estimate soil moisture by burying probes in the ground and by using radar and passive microwave satellites. The probes can estimate soil moisture in a several-inch radius, while satellites can cover up to ten square kilometers (thirty-nine square miles). GPS-derived soil moisture estimates, on the other hand, can cover up to 1,000 square meters (10,800 square feet) and can serve as a link between the inches-wide estimates taken by soil probes and the miles-wide estimates from satellites. These days, Larson, Small, and Braun are finding themselves shin-deep in alfalfa, or waist-deep in corn, hay and grass. They are replicating their experiment in Oklahoma, New Mexico, and other locations in Colorado, to see what impact different kinds of vegetation will have on their measurements. The researchers are interested in the effects of vegetation on their measurements because farmers, in addition to scientists, might benefit from their findings. Larson, K. M, E. E. Small, E. D. Gutmann, A. L. Bilich, J. J. Braun, and V. U. Zavorotny. 2008. Use of GPS receivers as a soil moisture network for water cycle studies. Geophysical Research Letters 35, doi:10.1029/2008GL036013. Larson, K. M., E. E. Small, E. D. Gutmann, A. L. Bilich, P. Axelrad, and J. J. Braun. 2008. Using GPS multipath to measure soil moisture fluctuations: initial results. GPS Solutions 12, doi:10.1007/s10291-007-0076-6. Masters, D., P. Axelrad, and S. Katzberg. 2004. Initial results of land-reflected GPS bistatic radar measurements in SMEX02. Remote Sensing of the Environment 92(4):507-520. Small, E. E., K. M. Larson, and J. J. Braun. 2010. Sensing vegetation growth with reflected GPS signals. Geophysical Research Letters 37, doi:10.1029/2010GL042951.